Online craps is a fun game that offers a wide variety of betting options, odds, probabilities and payouts. The excitement of the popular dice game has carried over from land-based casinos into the world of online gaming sites. Now you can play online craps from your desktop or laptop at anytime from anywhere in the world. You can have multiple bets running at the same time. Playing craps at online casinos also has some distinct advantages over the games offered in “real world” casinos. The tables at online craps games are never too full or overcrowded and are available to players around the clock. Not only that, but only craps offers some of the best bets out of all the online casino games. The best bets in the house are the pass, don’t pass, come, don’t come bets, as well as placing odds on one of these bets. The most common bet, you’re betting that either a 7 or 11 will be rolled on the come out roll. The don’t pass bet is the opposite, you are aiming for a 2, 3 or 12. Any other number establishes the ‘point’. This bet is can only be made on the come out roll and pays even money. Same as the pass and don’t pass bets, but can be placed at any time after the come out roll. You win if a 7 or an 11 is rolled once you make a come bet, and lose with a 2,3, or 7. Any other number and your own personal point number is established. With a don’t come bet it’s the opposite, you win with a 2,3 or 12, and lose with 7 or 11. This pays even money. Odds bets are a side bet which can be placed on the pass, come, don’t pass, and don’t come bets. It’s called ‘take odds’ when you are putting this bet on the pass or come bet, and laying odds when placed behind the don’t pass or don’t come bets. If your original bet wins, you also win. 1) If the shooter rolls a 7 or 11 on his come out roll, the “pass line” bets win and the “don’t pass line” bets lose. 2) If the shooter rolls a 2, 3, or 12 on his come out roll, the “pass line” bets lose and the “don’t pass line” bets win. 3) If the shooter rolls any other number, that number becomes the “point”. 4) The shooter continues to roll the dice until he rolls either the “point” number again, or he rolls a 7. 5) If he rolls the “point” number again, the “pass line” bets win and the “don’t pass line” bets lose. 6) If he rolls a 7 before he rolls the “point” number again, the “pass line” bets lose and the “don’t pass line” bets win. In land-based craps, once a shooter completes his play, another player becomes the new shooter. In online craps, the player’s options may vary. However after the come out roll, you have a multitude of bets to choose from. Below we outline some of the more popular bets. Craps is perhaps the most communal of all casino games. The house hands the players some dice, and invites them to play. Players all take turns acting as shooters, trying to beat the casino literally with their own two hands. Unless a player is ‘betting on the dark side’, placing Don’t Pass and Don’t Come bets, all players stand to win and lose together. When a shooter is ‘hot’, everyone is happy and making money. When bad luck is in the air, it affects everyone. But there is more to craps than the classic Line bets. You can read about them in more depth on our online craps rules page if you want to try your hand at them. However, players also have the option to bet on Multi Roll bets. These bets may be settled after one single shot, or may take any number of additional shots to be determined. Below is a list of classic Multi Roll craps bets, along with their corresponding payouts, actual odds and house edge. Hard Way: A Hard Way (Also known as ‘doubles’) is when both dice are showing the same value. For example, a Hard Way Eight would be dice showing 4, 4. You win this bet if a shooter throws a specific Hard Way (4, 6, 8 or 10) before he throws a 7 or the corresponding Easy Way. The Hard Way is a very common craps bets, and it even has many references in pop culture. The movie ‘Hard Eight’ got its title, as well as many inspiring scenes, from this bet. Easy Way: This bet is the opposite of the Hard Way. If the shooter throws an Easy Way (4, 6, 8 or 10) before the 7 or the corresponding Hard Way, you win, otherwise you loose. An example of Easy Way 4 is 3, 1. Big 6 / Big 8: With the Big 6 bet, you win if a 6 is rolled before the 7. The Big 8 is the same, except with an 8. These bets are considered ‘sucker bets’ by most veteran players, and should be avoided. They pay even money (1:1), but the actual odds are 6:5 in favor of the house, so the house edge is 9.09%. Though the same house edge (or worse) is found in many other craps bets, this is considered an exceptionally bad bet because you can make the same proposition with better payouts using a either a Place or a Buy bet (see below) on the 6 or 8. Some casinos have removed these bets from their craps tables. Buy Bets: Buy bets are the same as Place bets, with one small difference: Buy bets pay out true odds, but a 5% commission is charged to ‘buy’ the bet. The commission used to be charged regardless of the bet outcome, however in recent years most casinos have changed that policy and they now charge only for winning bets. Lay Bets: This bet is the opposite of a Place/Buy bet. You win if the 7 comes out before the number you chose. The payouts for the Lay bet are true odds, but a 5% commission is charged. Tip #1: When you do start to play online craps for real money, start at small stakes. Smaller bets allow you to stretch out your bankroll; the wins won’t be as big, but the losses won’t hurt as much. Tip #2: Stick with the “pass/don’t pass” and “come/don’t come” bets at the start. These are the easiest bets to make in online craps and have the lowest “house edge”. Tip #3: If you don’t understand the odds of a bet, don’t put your money on it! Some bets in online craps may look like fun and give high payouts, but the odds often don’t justify the risk. Tip #4: Luck can come in streaks at an online craps table. If you’re on a hot streak, raise your bets and “ride the rush”. If the dice are turning against you, keep your bets low and save your bankroll. If you want a more in-depth understanding of using strategy to play online craps, read our article on craps strategy. Can you play online craps for real money? If you want to play to win some serious cash, then all you need to do is take your pick from our great craps online casinos featured right here on Gambling Planet. All of these casinos have been picked out by our team of reviewers and offer the best online casinos for craps lovers and newbies to play craps online for real money. Can I practice online craps for free? Yes you can! This is a great idea if you are new to the game, or want to practice placing certain bets or playing with a particular strategy. You can play our craps online free game. How many bets are there in craps online? Too many to count, which is what makes this game so fun and exciting. You have the regular pass/don’t pass, come/don’t come, and odds bets. But apart from those, you have a whole host of other single roll and multi-roll bets as well. 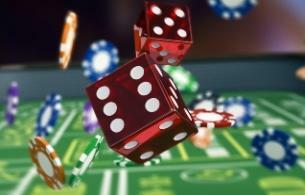 Read through our craps articles for a comprehensive overview of the available bets in craps. 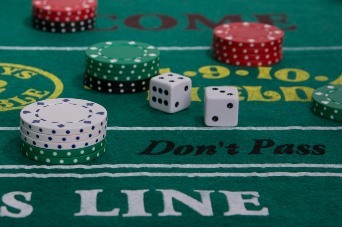 Is it possible to use a strategy to play online craps? When it comes to which bets to place and when, there absolutely is a strategy to use as there are many bets which can lose you an awful lot of money. Read through our online craps strategy page for an in-depth overview. No online casino game is ever rigged if you are playing at a reputable casino. We have reviewed all the online casinos for you and here at Gambling Planet we list only the very best online craps casinos which not only have great games, but tick all the boxes regarding your security and reliability. Check our online casino reviews to read about the online casino you want to play at. Is there a live craps casino game available? Unfortunately this is not yet possible due to the nature of the game. As players need to roll the dice, the actions taken throughout this game cannot be done by a live dealer on your behalf. You can play online craps for fun right here at Gambling Planet. Learn about the different bets, practice using our free craps game, then head on over to one of our online casinos to have some fun placing some of the vast amount of bets available to you!